Things have been crazy this month with my thesis wrapping up and my classes coming to an end. In about two weeks I’ll be graduating from undergrad! 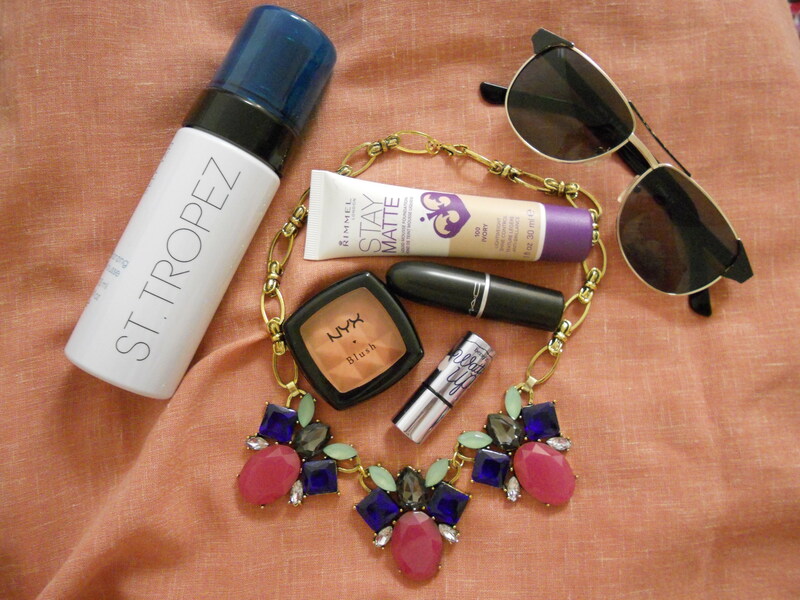 So, in my craziness this month, I didn’t have a very consistent beauty routine. In fact, all of my makeup has somehow ended up stuffed into three different makeup bags that I’ve been having to dig through every time I want to use anything. Yikes! In the next couple of weeks I’ll be packing everything up and deciding what to take with me to my internship this summer, so that should all be fixed fairly soon. 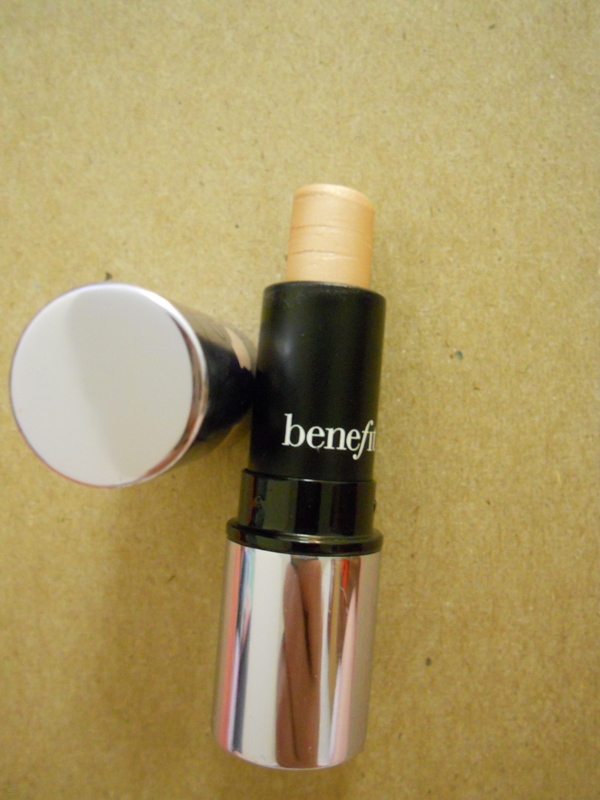 This foundation has been my go-to quick and easy face as I rush out the door. Check out my review for more. This is the perfect everyday pink for me. It’s not quite as warm as it looks in the photo, but I’d still call it a warm light pink. I’ve been meaning to post about my MAC lipsticks in more detail, but I only have three so I’m not sure how helpful that post would be until I get more. Anyway, I love this lipstick and the formula! It’s a little drying and needs touching up throughout the day, but that’s not a big deal to me. 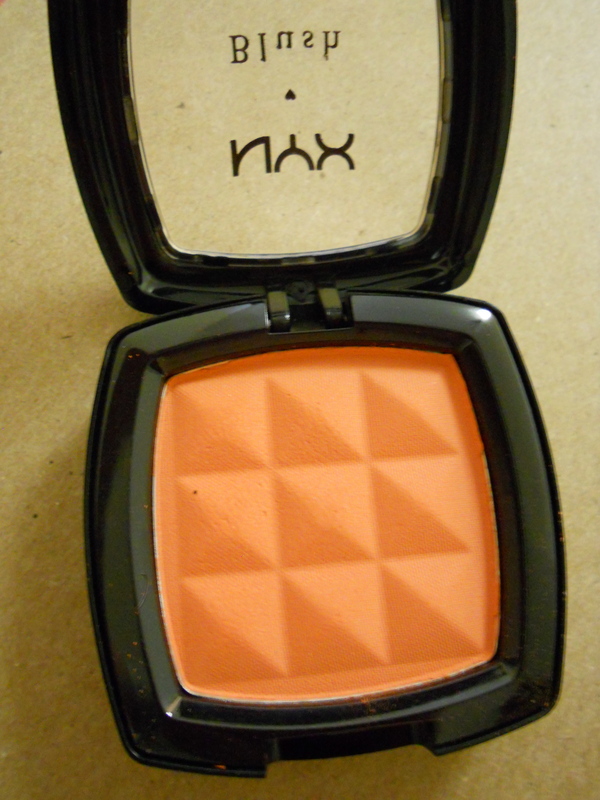 I love orange-toned blushes and lip colors for spring and summer. Warm colors work better with my skin and hair tones, so I was beyond excited to break this out again. These blushes are so soft and pigmented, and they hold up pretty well. You may recognize this little guy from last year’s Sephora Beauty Insider birthday gift! I never got much use out of it because the fact that it’s a cream scared me, but I pulled it out again to go over my super matte foundations, and I’m so happy I did. It’s beautiful and can look very subtle. I tried self tanner for the first time this month, and I couldn’t be happier with the results! I got these in a Her Campus giveaway last fall and used the bronzing mousse (center) on my legs. I’m going to have a full post up about it shortly, so if you’re interested in learning more make sure to look for that! It’s been quite sunny lately, and I’ve been reaching for these sunglasses exclusively. 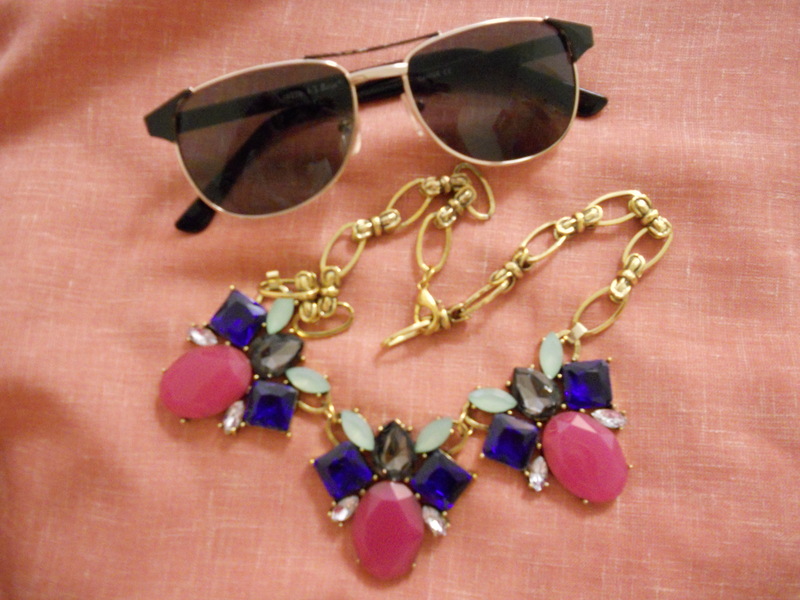 I got them at a trade-in type store that carries new accessories and such, and they’re my favorite sunglasses. The necklace is from my recent Shoreline Boutique mini-haul, and it’s been great when I want to add a little something to my jeans and T-shirt. That’s it for my favorites this month! Thanks for being patient with me as I get my life back together. I promise I’ve got some reviews coming up for lots of great (and potentially not so great) products and more, so be on the lookout for that. I’m glad you’ll find it helpful! No need to be nervous 🙂 Did it turn out alright? So far so good! I was worried it’d be streaking but none yet! Also…I was nervous about the face so I just didn’t do it, and I was worried that was going to look weird haha. Do you tan your face with it? No, using it on my face would make me nervous too! I have the face lotion version so I can if I want to, but the rest of my body is so much paler that it needs a little more attention before I have to worry about matching my face. I suppose you could try mixing the mousse with a mild face lotion and doing a spot test. That would probably be the safest way to do it unless you have one specifically formulated for your face. But I’m no expert! Sure thing! I know there are some gradual tanning lotions for the face at drugstores, too. I think neutrogena and jergens both have ones out. Thank you! It surprisingly goes with a lot of different outfits. I think they may still have them in stock if you’re interested, there should be a link in my Shoreline Boutique post. Thank you 🙂 I will have a look ! !